Today&apos;s photo is from 1955. The place is the North Side--in this case, somewhere north of North Avenue and east of the Chicago River. 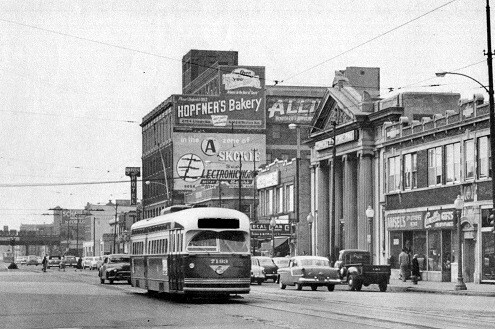 The streetcar is long gone, but many of the landmarks remain today.